Do you want to unite your team with custom printed pens and cups? 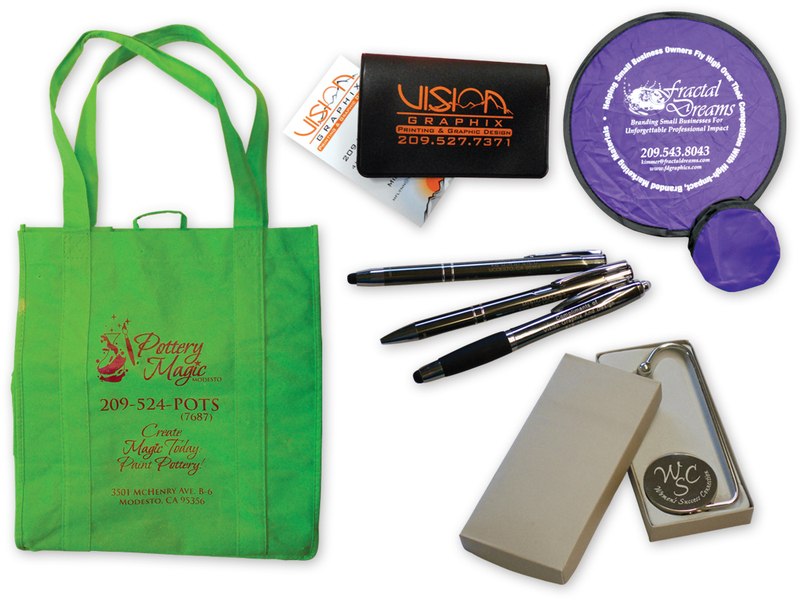 Or bundle your promotions with personalized bags? Vision Graphix is at your service. With over 20 years of experience in the marketing trade, we have the perfect promotional solutions for your small business. Choosing promotional items from our catalog of over 2,500 products. Putting your name and logo on pens, cups, bags, etc. Helping you find the best marketing items for your goals and budget.